My name is Wilber Omar Prada Escudero, Peruano con orgullo! I recently graduated from UCLA with a degree in Political Science. I arrived to this country as a seven year old kid, elated to meet my father who had come to the U.S when I was just three years old. The reason he came was because of the incessant terrorism threatening his workplace. I remember the elevator door opening, and seeing an overweight man extending his arms and smiling at my mother and I. My mother ran to hug him but I was more reserved, the reunion wasn’t what I expected, it was like meeting any other stranger because I only had vague memories of him. As time progressed and I got to know him, I learned to value how he sacrificed so much for us, working three jobs just to pay off the debt of money it took to bring us here. Yes, we did come with a coyote, we tried to get in line to get a visa but one thing citizens don’t know is that there is no line for poor people. They look at you like subhumans in the immigration office if you aren’t white and have no money, your application isn’t considered. We had to take the other avenue if we would continue to be a family, and here I was, in a new world with very little family, a totally new language, and a new school. Over time I learned what not having “papeles” really meant for our family. It meant we would have to go to the lawyer every so often and my parents would return frustrated that our political asylum case wasn’t going well. It turned out the lawyer was less than qualified and was renowned for extorting desperate immigrants. Furthermore, when we would speak to our family in Peru over the phone, the phrase “pronto estaremos juntos” seemed eternal. I couldn’t understand why I couldn’t play with my cousins Jorge and Victor again, or why I couldn’t see my Mama Peta or Papa Ciro. Such laws don’t really make sense to a ten year old child, but as a child I could sure feel the melancholic emotions that came along with them. When college was finally on the horizon, I innocently called the FAFSA number and asked whether I could get financial aid. They asked for my information and when I had to reveal that I didn’t have a social, the person told me that I “shouldn’t be in this country” and hung up the phone. I paused for a minute and felt helpless; maybe I didn’t belong here after all, but I certainly wouldn’t belong in Peru anymore either, where was I from? Fortunately, we found a college support group, IDEAS at UCLA, that helped us move beyond the impossibility of affording school and gave us a sense of community and safety. It was somewhere I belonged. It was a large strain on my family to help me pay for school, but through scholarships and fund raising, I was able to continue my dreams. The California Dream Act is a glimmer of hope for me. It is one of a few, but very important victories that tell me that a more just future for dreamers and immigrants in general may be possible. There have been years of grassroots work and we have finally seen the fruits of all that effort. 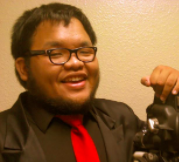 It IS possible to challenge the hateful conservative radio hosts, to build support from educators who know first hand the potential of dreamers if they could further their education, and to successfully offer people a different perspective than the dehumanizing views they had already accepted from the mainstream. Furthering my studies in graduate school is more possible now. 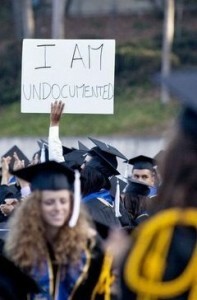 As an undocumented student, one often gets stunted for many quarters trying to raise money for tuition. The worries of paying for books, food, and housing are just as common but even stronger than those of getting the best grades. To me the California Dream Act is also plain justice. For 17 years, we have paid our taxes, contributed and volunteered in our community in Los Angeles, and have stayed out of trouble. My mother took care of the children of citizens for a couple of years, taught Spanish to some citizens from our local church, and cleans the houses of citizens. My father washed the plates of citizens, trimmed citizen’s trees, and even lent money to a citizen who would otherwise have gone homeless. They did all these things without judging whether each citizen had committed an infraction in the past, because they saw the citizens as fellow human beings, papers or not. We immigrants have contributed much to our American home, and it is time we have equal access to education.